An engineered material arresting system at Chicago Executive Airport prevented a Falcon 20 from overrunning a runway and coming to rest in traffic. 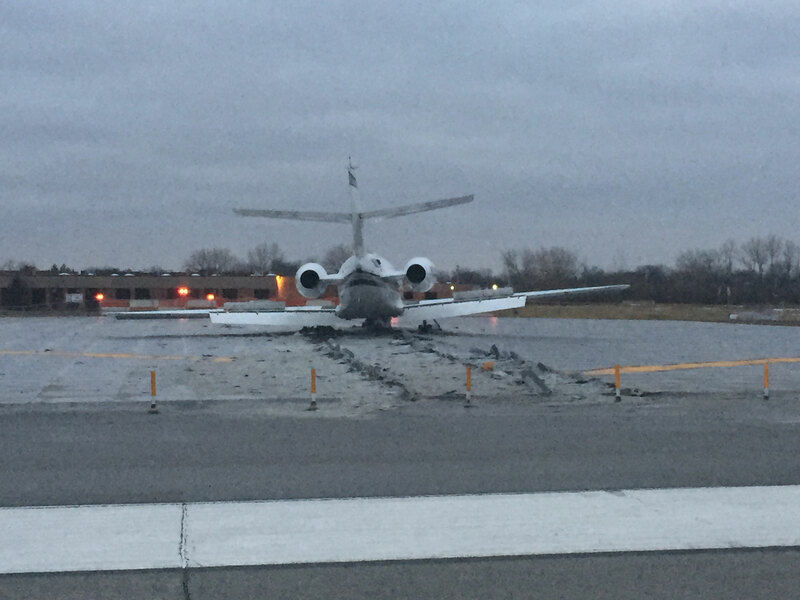 A recently installed engineered material arresting system (EMAS) at Chicago Executive Airport (KPWK) helped prevent a Falcon 20 from entering a four-lane highway after it ran off the runway. The cargo aircraft, operated by Ypsilanti, Mich.-based Kalitta Charters, overran 5,001-foot-long Runway 16 at 4:05 a.m. on January 26, coming to rest in the EMAS bed at the south end of the airport adjacent to the highway. Airport runway braking action was reported as good at the time of the excursion. Neither of the two pilots was injured, and the Falcon itself experienced only minor damage. The flight was inbound to PWK to retrieve a human organ. Airport personnel reported the Falcon executed a go-around from Runway 16 at some point during its first landing attempt and ran off the runway on its second approach. The reason for the initial go-around maneuver is unknown. The airport’s entire EMAS system became operational in late October 2015, although the Runway 16 bed had been in place since late 2014. The January 26 incident left just over 90 percent of the Runway 16 EMAS blocks operational until repairs can be conducted.